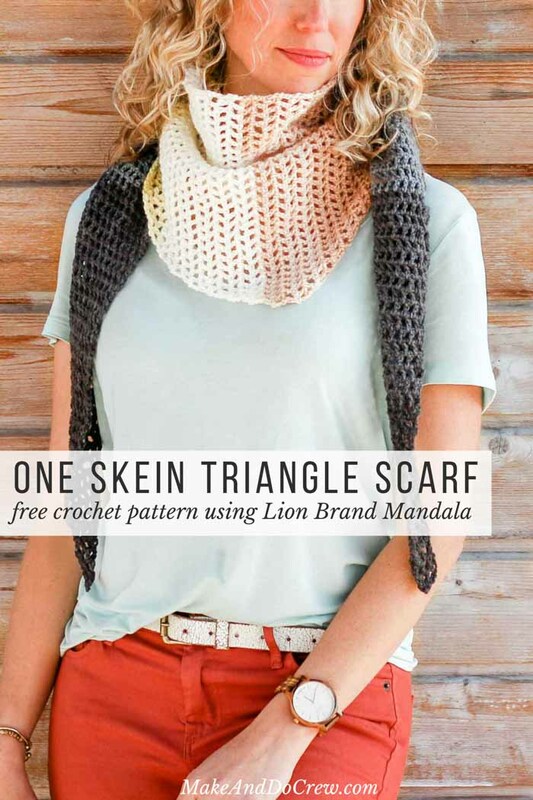 Make an easy, lightweight crochet triangle scarf with this free Lion Brand Mandala scarf pattern. 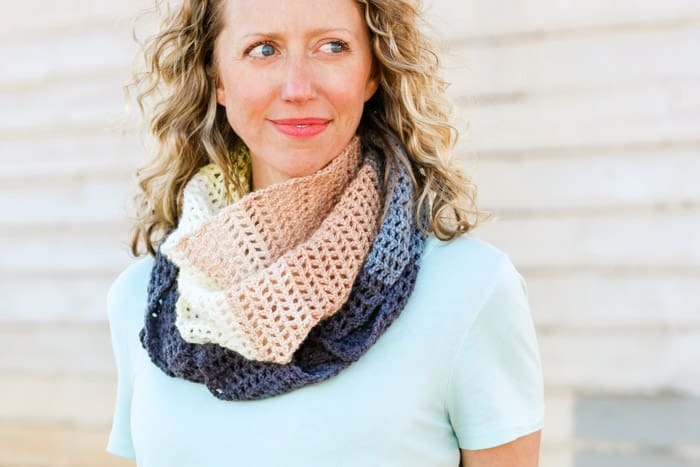 This one skein crochet project makes a perfect, fast DIY gift idea. Scroll down for the free pattern or purchase the ad-free, printable PDF for $2.75 here. Watch the step-by-step video tutorial here. 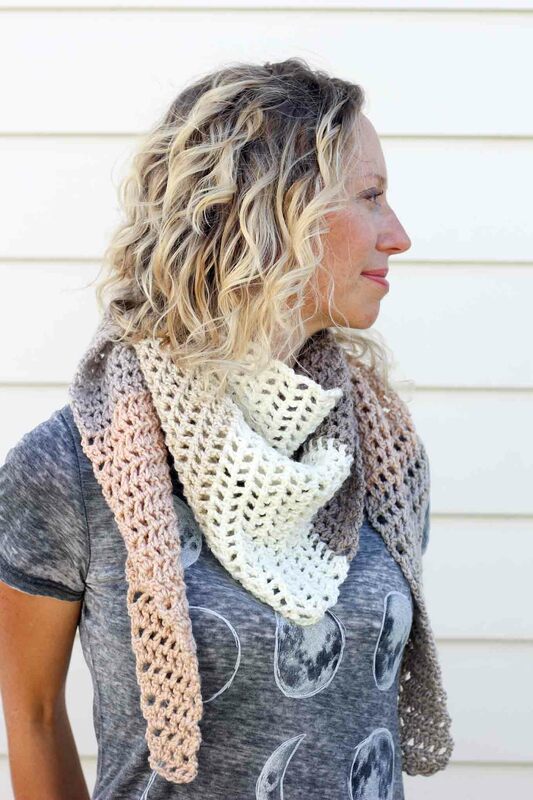 This free Mandala yarn scarf pattern is part of a collaboration with Lion Brand Yarn. This post contains affiliate links. As a blogger, sometimes you make things you love and they, without much explanation, fall on deaf internet ears. Sometimes you make things you love and the internet loves them too, so much so that the pattern lives on long past when you’ve moved on to 162 new ideas and WIPs (works in progress). Very fortunately, the later has been the case with my Desert Winds Triangle Scarf pattern (pictured below). It’s a pattern I designed a couple of years ago with the very first cake-style yarn I ever got my hands on. 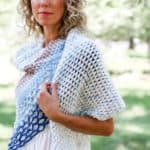 I loved that the entire project could be made using one ball of yarn–and you seem to have too! So many of you have shared your own Desert Winds scarves with me on Instagram, Ravelry and Facebook, which I’ve loved to see. Recently, as I’ve been enjoying the Lion Brand Mandala yarn craze, I started to think about how the pattern could be remade with a higher-yardage skein of yarn in mind. An even bigger project using only one ball of yarn?! Sign me up! 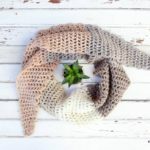 Because this pattern can be made to look really different depending on which gorgeous shades of Mandala you choose, it’s a “must save” for anyone who needs a go to crochet gift idea now and again. For $5-8 you can make a personalized, stylish gift for all the women in your life! Speaking of which, the Dawn Till Dusk Scarf would be a fantastic crochet gift for Mother’s Day—for your mom, for your daughters who are moms, for your sister. You get the idea. Everyone deserves a little handmade flair around their neck! 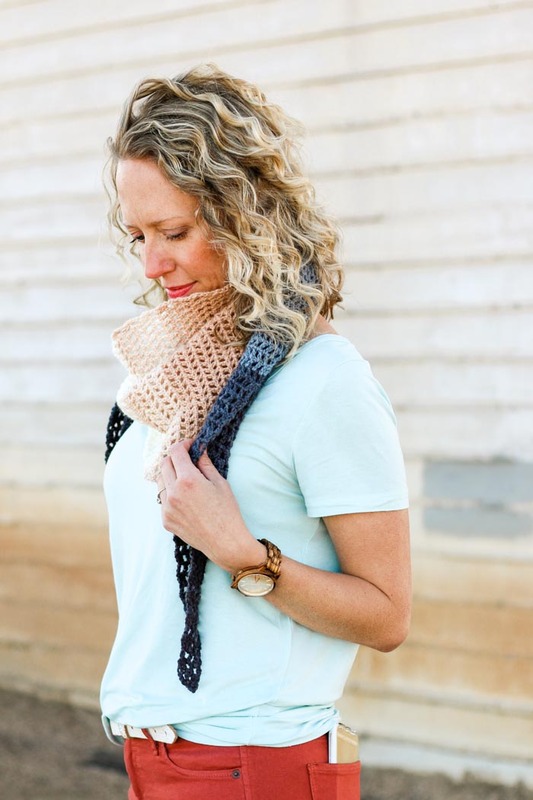 Ready for me to walk you through how to make a crochet triangle scarf step-by-step? Great! Check out the video tutorial here. 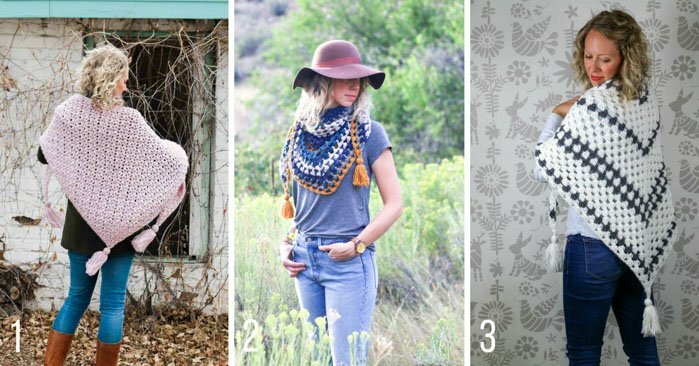 And if you like crochet triangle scarves as much as I do, you might also love these free patterns from Make & Do Crew as well! 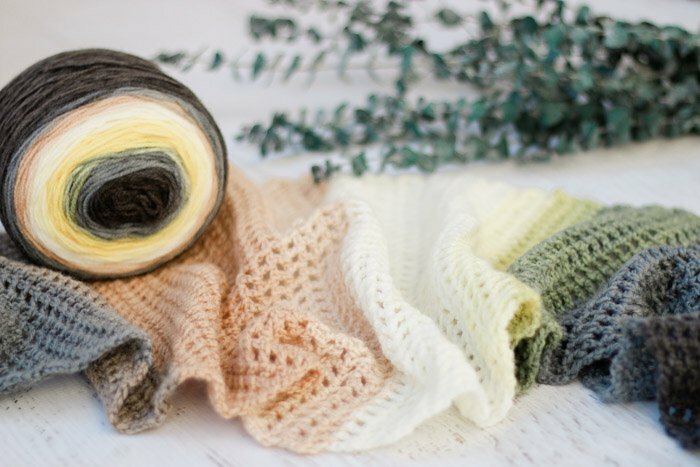 The soft color transitions and delicate stitches will never reveal how speedy this scarf is to crochet. 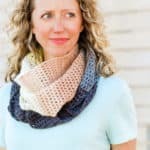 Worked in a simple filet pattern, this triangle scarf is light enough to wear almost year round and makes an elegant one-skein gift for Mother’s Day, birthdays, Christmas and “just because” gifts. 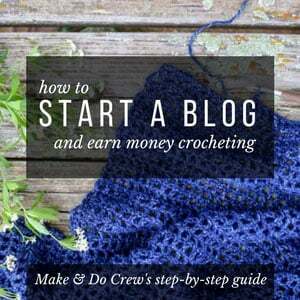 This is a perfect project for confident beginners who have a skein of Lion Brand Mandala yarn burning a hole in their pocket! Sample pictured is smaller size. • This scarf is worked from one side to the other by first increasing on every other row and then eventually decreasing on every other row. The increases/decreases always take place on the same edge. It’s helpful to put a stitch marker on that edge somewhere so that you can easily recognize if it’s an increase/decrease row. 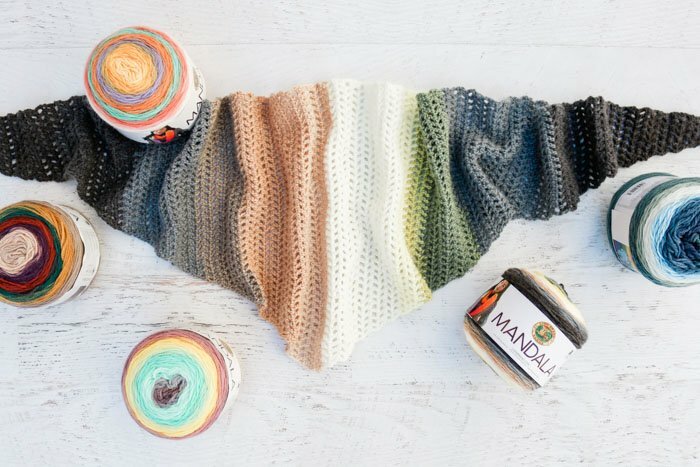 • Take a look at the order of the colors in your Mandala skein to decide if you want to pull your yarn from the center of the cake or the outside. The yarn color that is at the opposite end from where you begin may not get used. You can use this leftover yarn to make fringe or tassels if you desire. • Also note that the majority of the bright yellow color in the Mandala “Serpent” colorway was removed for the sample pictured. If you’d like to use more of the skein and make a larger scarf, continue increasing until there are 45 ch1sps before you begin to decrease. 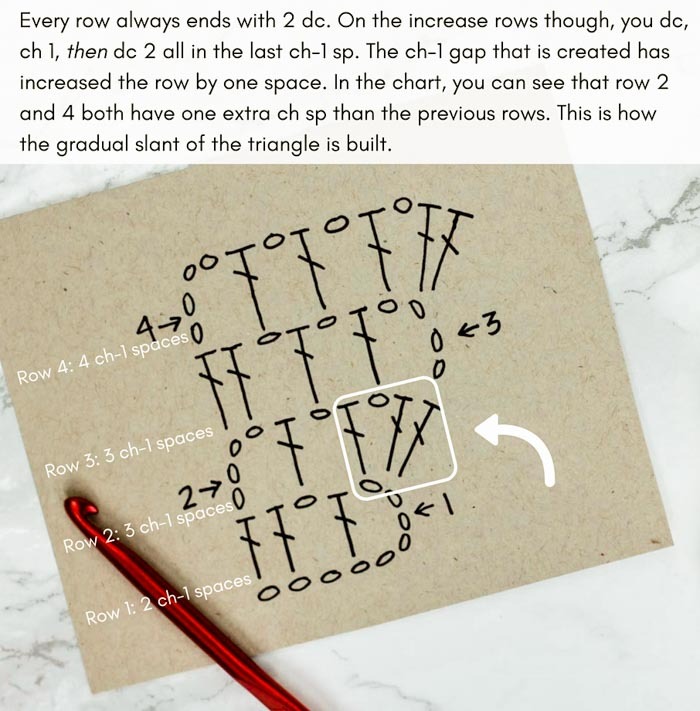 Rows 4-77: Repeat Rows 2 and 3 until row has 40 ch1sps. End with a Row 3. Smaller Size: Proceed to decrease section. Larger Size: Rep Rows 2 and 3 until row has 45 ch1sps. End with a Row 3. Rows 3-76 (86):Rep Rows 1 and 2 until 1 ch1sp and tch sp remain. End with a Row 2. Pop on your new triangle scarf and don’t take it off until dusk tomorrow! 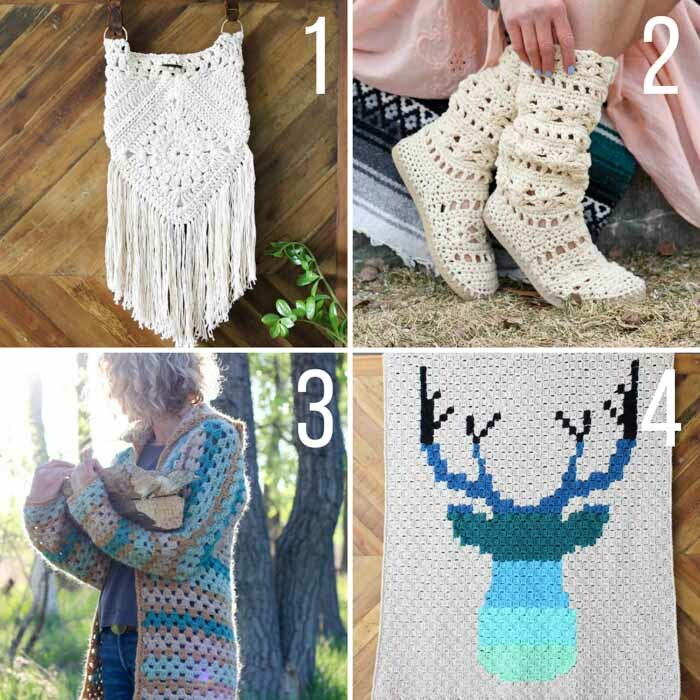 Ready to start planning your next projects with these other free crochet patterns? What a beautiful scarf! I looove those colors so much. My Walmart sells the yarn for just under $5 so it’s always fun to grab some yarn when grocery shopping! Now i neeeeed this color! Thanks so much, Sheltie! I love the colors of this yarn too. I am having trouble with the triangle scarf. how many rows am I suppose to increase before starting to decrease? 77 rows? 40 ch1sps is only 43 rows? I started the decreasing rows but the triangle is not coming out even. Any ideas what I am doing wrong?